What is the best movie theater nacho cheese? 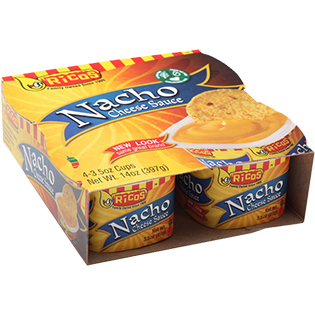 According to the Ricos website, they even go so far to call out this delicious nacho cheese as “theater-style.” I couldn’t agree more. It comes in a pack of four individual packaged containers, so basically it’s a four-use deal. It’s good stuff, has a hint of spice to it, just like the movie theaters and ball parks. Check it out on Amazon, thankfully for the entire world it seems Amazon sells it. I found it at the local grocery. If you try it, come back and let us know what you think…Is it the best movie / ballpark nacho cheese out there? According to us…Yes, yes it is. Previous Previous post: This Nacho Cheese Lover Needs Our Help! This Nacho Cheese Lover Needs Our Help! Thieves Steal Truck…But they Left the Nacho Cheese…? Nacho Cheese as a Scare Tactic?